Piano Opening Hours: Daily 24/7. 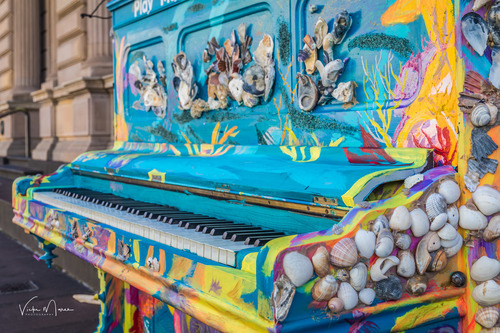 Piano donated by Diane Gardiner AM and decorated by Gail Thompson, with thanks to Youth Projects. Hosted by The Old Treasury Building. What a perfect way to start a busy working day! Thank you! 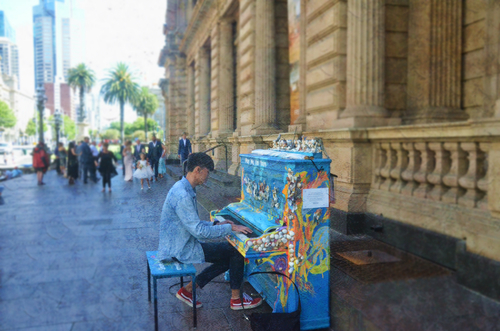 Thanks for the opportunity to play my favourite song on a beautiful piano in front of the old Treasury building. 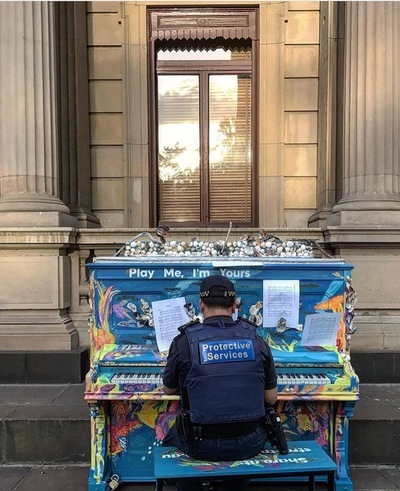 What a wonderful initiative, Arts Centre Melbourne! Today is a nice day! 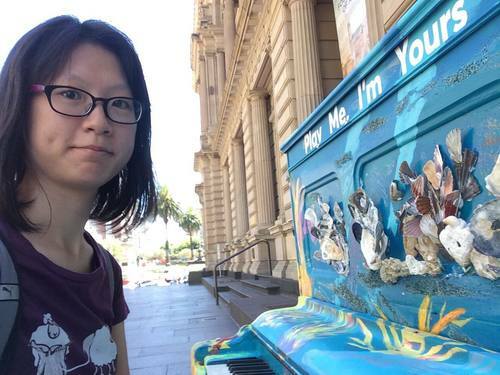 The Old Treasury Building is really cool, and I noticed this piano during the visit. 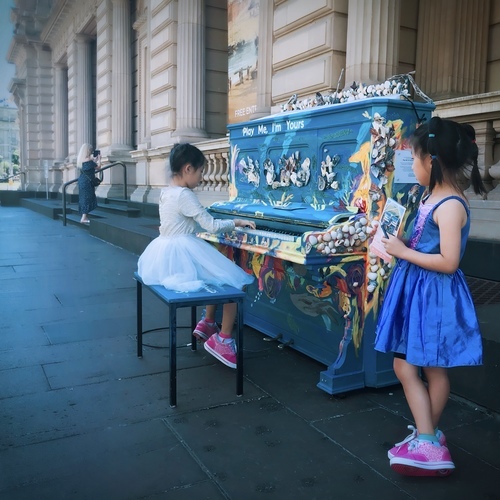 I hope more people can go to Melbourne, I love this city!!!!!!!!!!!!!!!!!!!!!!!!!!!!!!!!! 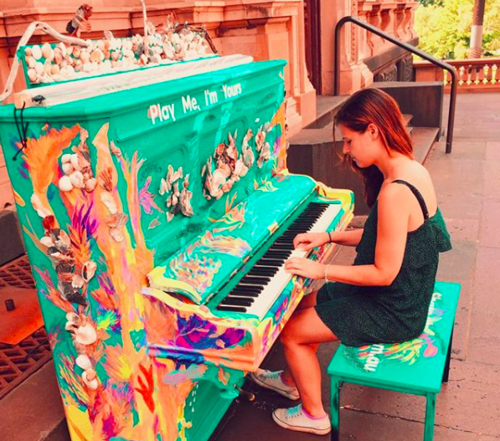 This is One of my favorite street piano. 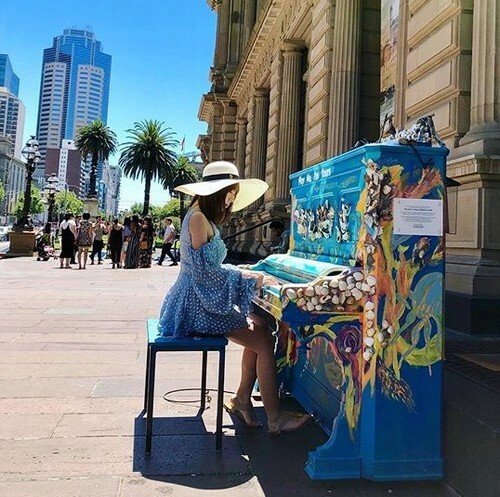 I enjoyed a day wondering in the city , searching for love & music , realizing how lucky I am to live my life in Melbourne. Before my husband & daughters’ play, there were two sisters aged 10&9 played 10 songs all together. They amazed me by their way of learning music, exclusive by YouTube ! They also cheered my day up by playing 2 of my favorite songs, “hallelujah “ and “someone like you”. 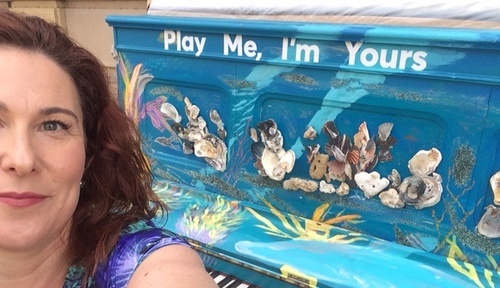 I was so nervous playing this beautiful piano in public but it was amazing to see other extremely talented pianists playing these "Play Me, I'm Yours" pianos too. 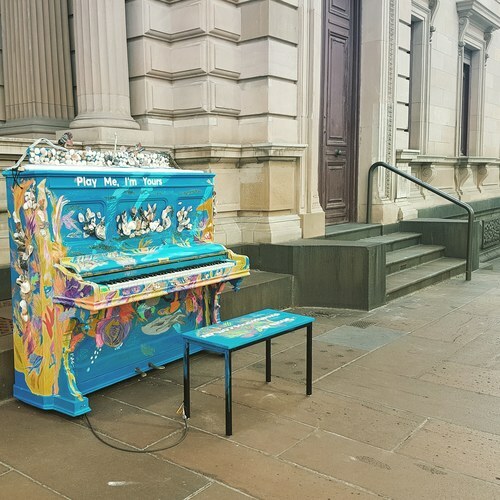 The final song on my concept album "On The Edge of Reality", performed in its entirely at a "Play Me, I'm Yours" street piano at the Old Treasury Building in Parliament. 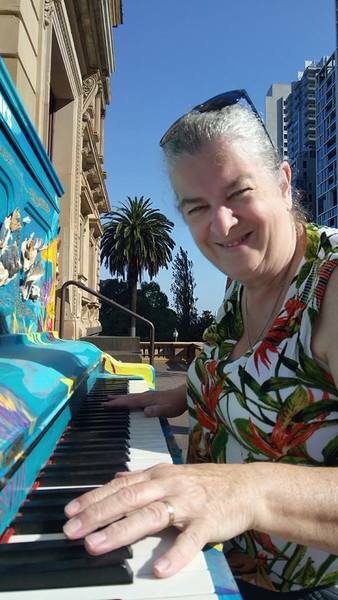 The piano was unfortunately out of tune, so I had to sing with the piano relative to its tuning. I flubbed some of the lyrics due to not having them in front of me, but I managed to remember almost all of it. Also I did not warm up my voice before recording, so it became strained and most of the notes were out of tune. Regardless I think I did a pretty good job. Saw this on the way to work. Couldn't stop and play at the time but am planning to go back at lunch time and have a tinkle.